Disney toys? Thrifty? Mais oui, cherie! Especially if you and your family are planning a trip to a Disney theme park some time in the next year. 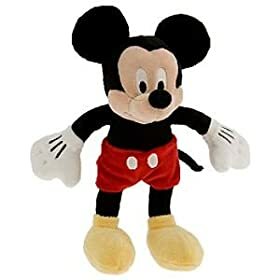 Until Feb. 16th, Amazon is having a buy one, get one free deal going on for Disney Plush toys that range from $8.50 to 16.50 each (free shipping if you have Prime or spend $25). Buy up now and put them away until you go to the theme park, and when you come out to your car at the end of the day, magically your child will have a toy at a fraction of the cost you would have paid in the park.